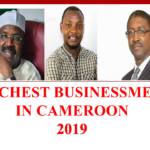 At a time when the job market is getting narrower in Cameroon and survival seems impossible, on the other hand, many business opportunities abound. 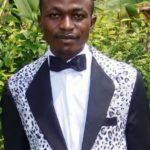 The call to entrepreneurship gets even louder as the Cameroonian economy is in dying need of job creators than job seekers. Hence, being an entrepreneur in Cameroon will be the perfect decision to make. I know the question now is: How can I become an entrepreneur in Cameroon? 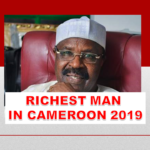 The World Bank considers Cameroon as a lower-middle–income country. It has a population of 23.3 million people and was designated the 4th country in the world with the most entrepreneurs ahead of countries like the US, UK or or any other western country. What could be the reason? In most cases, entrepreneurship appears as the only option to earn a living. Indeed, given the high unemployment, a lot of people end up starting their own business. If you want to start a business in Cameroon but don’t know where to start, don’t worry – you are not alone. In fact, given the new economic reality of our time, more people than ever before have found the “job” they thought was waiting for them doesn’t exist. Others have come to the conclusion that they would rather create work they love, constructed to fit with their own life goals. No matter what the motivation is to be your own boss, you can start today. 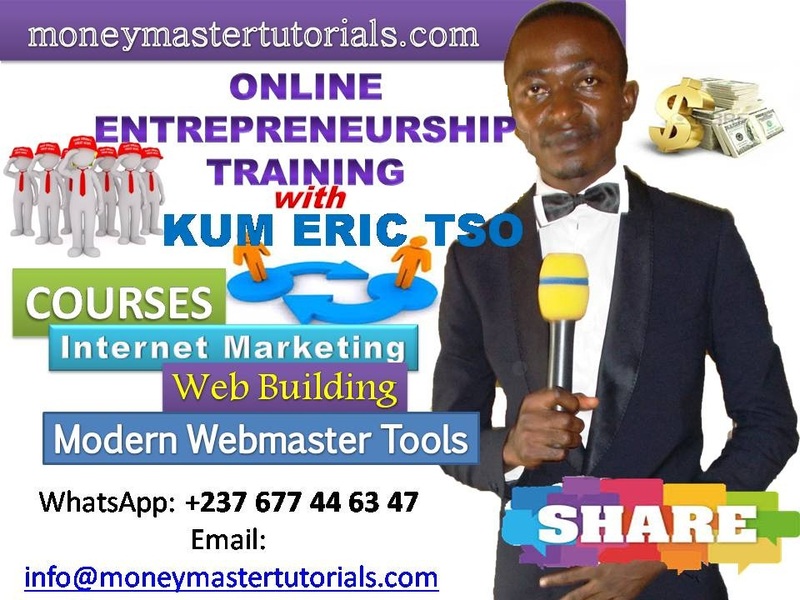 My name is Kum Eric Tso, a Cameroonian entrepreneur and coach. Just like all my siblings, I started learning about entrepreneurship right from childhood in Bafmeng, a small village in the North West Region of Cameroon. Both my father and mum were entrepreneurs in this small community. My father used to invest in a lot of businesses. He used to buy smoked fish from the South West and sell in the North West. He owned a lot of life stock and farms (he invested in agriculture). We actually produced and sold coffee right from our compound. The compound was sorrounded by these farmlands of trees from which timbre was sold, bananas, plantains, guavas, mangoes, maize, kola nuts and a lot more. My dad also invested in real estate. He bought and sold landed properties. He owned a small shop that was later on sold out. He was also into producing palm wine and a lot more. Our father, that I mostly remember for being a hard working and shrewd business man was a role model to many of my siblings. Many developed a the spirit of entrepreneurship from him. My case was slightly different. More of my inspiration came from my mum. Coming from a polygamous family, my mum was heavily mocked for not giving birth to a male child after she gave birth to my four beautiful elder sisters. Just then, God answered her prayer and she gave birth to me – a strong, charming and healthy bouncing baby boy. My uncles said, they and many others trooped in with gifts to see this wonder. My mother was so filled with joy that she loved me exceedingly amongst all her children. As a result, I was so much caretered for, pammpered and protected by my mum even in preference to my three younger brothers that followed later. This intimacy exposed me to entrepreneurhip in Cameroon right from childhood. I was so attached to my mum that I wept bitterly and mourned for almost two months at the age of eleven when she was mysteriously killed in the farm by a thunder storm. I was actually going with her to the farm on that day since my siblings were to go to a different farm. I opted to go with her as usual in order stay away from being mocked as ‘mummy’s son’. In addition to that, there was always enough food with mum whilst the other way, I got trampled upon. Fortunately for me, I was saved by God not to go to the farm. As we were laeving for the farm, my mum heard that my grand mum was sick. So, she bought drugs and sent me to bring them to grandma. I brought the drugs and remained playing with my friends and forgot the farm. This attachment to my mum, however, made her my role model. She taught me a lot of things. I saw so many things in her. Her determination, hardwork, and entrepreneurial skills were outstanding. She was like a man in the family. She was the source of peace in my extended family and since her daeth, the family fell apart. She built and bought houses for the family. I think she was a better entrepreneur than my dad. Though totally uneducated formally, she trained herself professionally to weave sweaters, bought herself a weaving mahine worth half a million FCFA and started her clothing business. Today, my two elder sisters and my follower are all into clothing business. In fact, everyone of my mother’s children is into serious businesss. She equally got tarined in agricultural seminars and started doing farming professionally. She was into maize production, spices, cabbages, trees (timbre – just like my dad), and equally invested in life stock like pigs, guinea pigs, goats, etc. She used to buy food items like maize from distant villages, treat with chemicals against infections and preserve for sale when the comodity is scarce and the price is up. She generated a lot of profit. She also invested into a small bakery. She will get up at 4 AM everyday and fry puff balls (we always ate well when we were young oh!) and supply. My eldest sister of blessed memory, one of the pioneers of entreneurship in my family, was nicknamed after this when she took over my mum. My mum was more than a man. She literary took care of all our expenses including school needs from childhood till now. Left to our father, we won’t have gone to school. That’s why I salute my mum. She invested in us and our cousins. Hence, my mum remains my main inspiration, a mentor and a role model for me. I have faced many daring situations in life that almost took away my hope, my dreams but my mum’s life style in facing and overcoming all odds, kept inspiring me. Today, I coach a lot of people in Cameroon and help them believe in themselves, acquire the necessary entreprenarial skills and achieve their dreams. I believe anyone can make it, no matter what you’ve been through in life. You just have to surround yourself with the right people. You can’t travel this road of entrepreneurship with people who aren’t going to the same destination as you. Though I was born into the loving hands of a well to do mum, I grew up dead poor after she passed away when I was eleven. I tasted acidic poverty but came through it. The greatest business plans and decisions in my life were made when I was terribly broke. That’s exactly why I wrote this piece; to help you stand out from the crowd and become an entrepreneur. I want you to make a decision to walk out of the rat race and be your own boss. You mustn’t start as an entrepreneur right away. You can start as an intrepreneur (in case you are already working under someone, a company or the government) and later on grow into an entrepreneur. If you are dissatisfied with your current circumstances, admit that no one can fix them except for you. It doesn’t do any good to blame the economy, your boss, your spouse or your family. Change can only occur when you make a conscious decision to make it happen. Do What You Know:Have you been laid off or want a change? Look at work you have done for others in the past and think about how you could package those skills and offer them as your own services or products. Most people don’t plan, but it will help you get to market faster. A business plan will help you gain clarity, focus and confidence. A plan does not need to be more than one page. As you write down your goals, strategies and action steps, your business becomes real. – Who will I serve? – What is the promise I am making to my customers/clients and to myself? – What are my objectives, strategies and action plans (steps) to achieve my goals? Know Your Target Audience Before You Spend a franc. Before you spend money, find out if people will actually buy your products or services. This may be the most important thing you do. You can do this by validating your market. In other words, who, exactly, will buy your products or services other than your family or friends? (And don’t say. “Everyone in America will want my product.” Trust me–they won’t.) What is the size of your target market? Who are your customers? Is your product or service relevant to their everyday life? Why do they need it? There is industry research available that you can uncover for free. Read industry articles with data (Google the relevant industry associations) and read Census datato learn more. However, the most important way to get this information is to ask your target market/customers directly and then listen. As an entrepreneur, your personal life and business life are interconnected. You are likely to be your first–and possibly only–investor. Therefore, having a detailed understanding of your personal finances, and the ability to track them, is an essential first step before seeking outside funding for your business. This is why I recommend setting up your personal accounts in a money management system such as Mint.com to simplify this process. As you are creating your business plan, you will need to consider what type of business you are building–a lifestyle business (smaller amount of startup funds), a franchise (moderate investment depending on the franchise), or a high-tech business (will require significant capital investment). Depending on where you fall on the continuum, you will need a different amount of money to launch and grow your business, and it does matter what kind of money you accept. You’ve made the internal commitment to your business. Now you need to cultivate a network of supporters, advisors, partners, allies and vendors. If you believe in your business, others will, too. – When attending networking events, ask others what they do and think about how you can help them. The key is to listen more than tout yourself. – No matter what group you join, be generous, help others and make introductions without charging them. – By becoming a generous leader, you will be the first person that comes to mind when someone you’ve helped needs your service or hears of someone else who needs your service. – What can I give them? – How can I make them successful in their own pursuits? – This approach can help lead you to new ways to hone your product or service and deliver more value, which your customers will appreciate. Be willing to say who you are and what you do with conviction and without apology. Embrace and use the most effective online tools (Twitter, Facebook, YouTube, LinkedIn) available to broadcast your news. Use social networks as “pointer” sites; i.e., to point to anything you think will be of interest to your fans and followers. Even though social networks are essential today (you must use them! ), don’t underestimate the power of other methods to get the word out: e.g., word-of-mouth marketing, website and internet marketing tools, public relations, blog posts, columns and articles, speeches, e-mail, newsletters, and the old-fashioned but still essential telephone. If you take these steps, you’ll be well on your way to becoming your own boss. It’s important to remember that you are not alone. If you want to “be your own boss” but you still feel stuck, reach out and connect with other entrepreneurs in a variety of ways. You may be surprised by the invaluable contacts that are right at your fingertips. 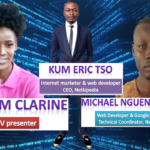 You can start by leaving a comment below on your experience in your journey to becoming an entrepreneur in Cameroon so far.